Editor’s note: This article appeared in Newsday last week in advance of this past weekend’s show. Don’t feel sorry for Greg Marasciulo. Just over a month after being released from WWE following a three-year stint there, the former Trent Barreta will return to Long Island this Saturday to compete at the New York Wrestling Connection’s biggest show of the year, Psycho Circus. And although the audience will be smaller than the ones he became accustomed to in WWE, Marasciulo said he’s feeling nothing but excitement about wrestling in front of a hometown crowd. That kind of freedom eluded Marasciulo throughout most of his WWE run, which began when he was barely out of his teens. Marasciulo had been training at NYWC since he was 15 and was called up to WWE in 2007 with a group of classmates that included fellow Long Island natives Curt Hawkins and Zack Ryder. Barreta worked dark matches for months before making his TV debut, losing in short order to Mark Henry on an episode of “Smackdown.” In 2009, he joined forced with fellow WWE developmental talent Caylen Kroft and formed the tag team of the Dude Busters in WWE’s feeder system, Florida Championship Wrestling. Hawkins joined to make it a trio, and, using “Freebird Rules,” the Dude Busters won the FCW tag team championship in November 2009. Kroft and Barreta were called up as a tag team to WWE’s ECW brand in December of 2009. ECW gave the Dude Busters an ideal platform to showcase their act, but, unfortunately, WWE shut down the brand just weeks later. The duo ended up on the “Smackdown” brand, but competed largely on “WWE Superstars” until Kroft was fired late in 2010. Marasciulo said when he approached management with character and story line ideas, they were quickly dismissed. After seeing fellow FCW alum Wade Barrett quickly rise through the ranks and headline WWE pay-per-views, Marasciulo asked Barrett about how he pitched ideas to the bosses. Barrett said he didn’t. Despite his stalled progress, Marasciulo said he always tried to make the most of every opportunity in the ring and cheered on his friends when they moved to the head of the pack. But Marasciulo’s could not keep his positive outlook when he tore his triceps muscle in February 2012 and was forced onto the sidelines. When he was finally healed, he returned not to WWE television, but rather to the company’s Florida developmental system. “That sucked. That was very frustrating. I didn’t want to be there at all,” Marasciulo said. 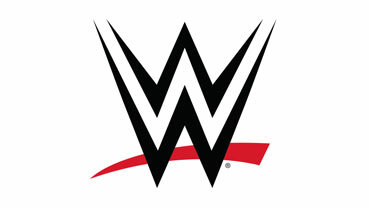 In January, WWE released Marasciulo. Although some of his wrestling dreams went unfulfilled during his WWE stint — including performing at Madison Square Garden — Marasciulo said he is at peace with his departure. Now back on the independent circuit, he’s looking forward to cutting loose, and can think of no better place to do so than his old stamping grounds of NYWC. Saturday’s event was at the NYWC Sportatorium at 435-13 Brook Avenue in Deer Park is particularly loaded up. It includes Jerry Lynn’s final East Coast match, as he takes on “The Greek God” Papadon. And in the main event, NYWC champ Apollyon will captain a four-man team against another captained by YouTube sensation “The Big O” in a weapons cage match. Tickets are available at nywcwrestling.com.